Hotel Paras offers a regal stay with elegantly designed rooms and various modern amenities. The bright and spacious rooms with wooden finishings ensure pleasant and relaxing stay of the guests. The cove lights look impressive and the cushioned headboard adds to the comfort of the guests. The flowy curtains complement the overall decor of the space, making it lively. The in-house restaurant and bar is also well-furnished where guests can relax and enjoy tasty treats. The banquet hall and conference room can be used by guests for functions and events. Power backup and CCTV cameras ensure security of the guests. 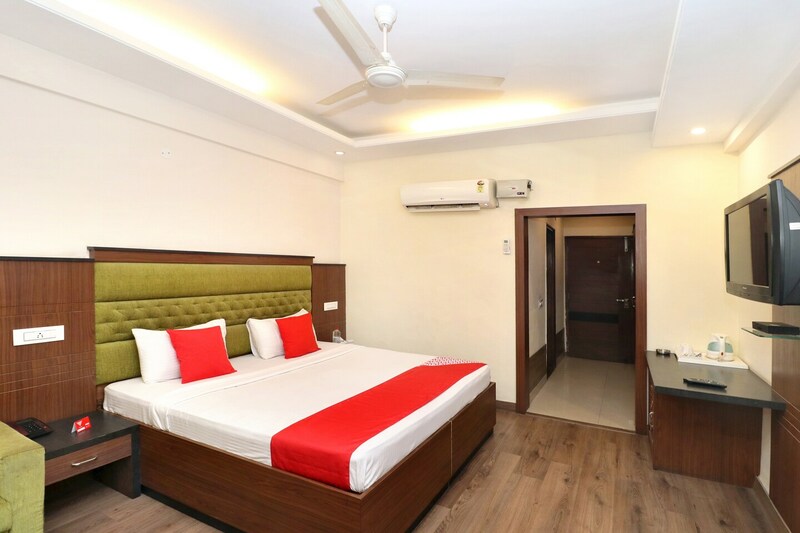 The various other amenities provided by the hotel include free Wi-Fi service, parking facility, mini fridge, elevator, wheel chair accessibility and laundry service for the convenience of the guests.